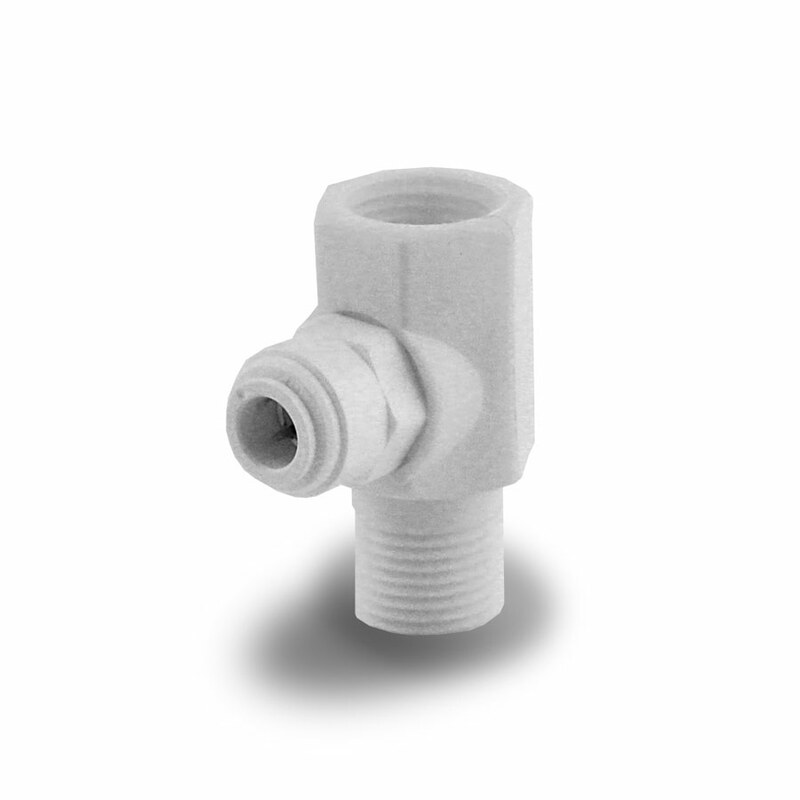 This Polypropylene Faucet Adaptor connects between the bottom of your faucet and the top of the riser tube that runs between your cold water shut-off and the faucet. 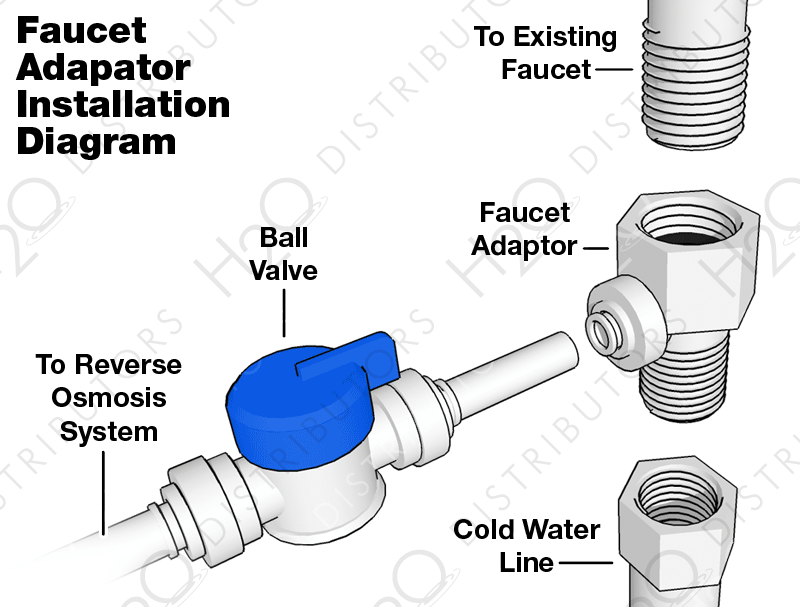 To install simply disconnect the riser tube from the faucet and thread on the faucet adaptor. Then thread the riser tube on to the bottom of the faucet adaptor. 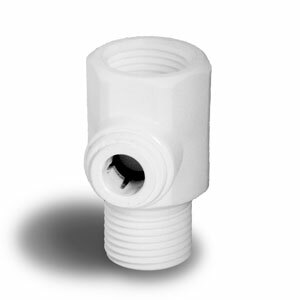 With a 3/8" quick connect fitting built-in, this fitting supplies an easy connection to any device that needs a 3/8" supply tube. You may also need a John Guest Ball Valve with the Faucet Adaptor.